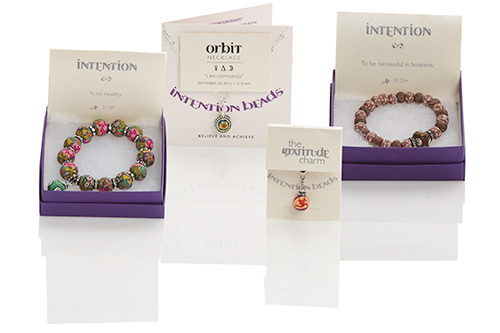 Whether you have purchased an Intention Beads Universal Bracelet, Personal Bracelet, or New Moon Mala, we keep in touch with you throughout your first year! Each month you will receive an email with links to update a digital journal that tracks your progress and stories along the way. We have been compiling inspiring stories of all our talisman owners- everything from the mundane to the movie-script ending! Living with intention is a mindful daily practice, and as you know, your talisman acts as that compass of where you want to go… Now, let’s map your journey! Register below. Once you have successfully registered, you will be receiving a welcome email from us. Each email will have a message with a private, personalized link to your digital journal- where you can track your monthly strength of your intention as well as stories, practices, feelings that you’d like to remember! Once you have completed your journal, you will be able to look back to see how far you have come while being able to track the ebbs and flows, twists and turns, along the way to your intention. Each month you will receive an email reminding you to add to your digital journal, with a message from Sandy, your talisman maker! 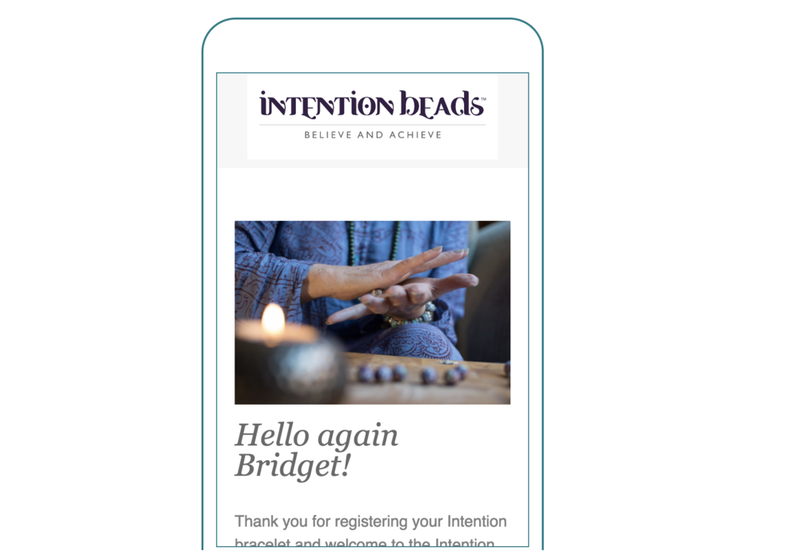 Make sure to add info@intentionbeads.com to your email contact list so the emails are not filtered out as spam! Keeping track of this journey is an important part! Sometimes we arrive to the space we have been waiting for, yet our minds can still be so fixated on the lack, that we forget to see the miles we have come! Keep this journal daily, weekly, or monthly!